All of us have dreams in our life: owning a house, buying a car, living in luxury, traveling to our heart’s content, providing the best of facilities to our parents and children, and a million more life goals and wishes. But fulfilling these dreams in addition to managing your day-to-day lives and handling routine expenses can be quite a challenge. This is why just having life goals and dreams is not enough. It’s equally important to plan your financial journey to reach these ambitious goals. Here are some critical reasons why personal financial planning can simplify reaching your life goals. Planning your finances helps you to effectively balance your earnings, spending, and savings throughout your life. It also helps you measure the risk involved in continuing your current financial lifestyle so you can make the right changes to correct your financial health. Hence, with proper financial planning you will make way for filling the gap between your financial reality and your financial dreams. Sudden emergencies come without any warning, but accounting for general emergencies such as medical expenses or a sudden loss can prepare us to take the heat of such unexpected tough times with confidence. A smart health plan or well-planned insurances are just some of the smart investment options you have. Starting on your financial journey without any planning can be like walking blindfolded in the woods. Without knowing what you are working for and the life goals for which you are investing your time, effort, and money, your entire financial journey runs the risk of sudden and unpleasant surprises. This can be avoided by training yourself and your family to follow a healthy financial routine and by creating the right financial balance in the long term. Investing in land, stocks, insurances, or gold just because your best friend does so need not bring you the same benefits. Your life’s goals are unique, your current financial circumstances are different, and your current financial responsibilities cannot be compared to that of any other person. Hence, it is critical that you understand the importance of specifically planning the finances for your situation, else you will definitely be living another person’s life. Our financial journey at every stage of our life is different; hence we definitely require a holistic financial planning package covering all the stages.At the initial stages of our financial journey effectively balancing income, expenses, and savings to reach short-term goals is important. During our decades of consolidation, we establish our financial journey and build further on it, our focus is on working toward our long-term goals. When can then move on to our consumption decades where we can enjoy the fruits of a well-planned life. Many of us do not take personal financial planning seriously, while many others are terrified at the concept of discussing money. 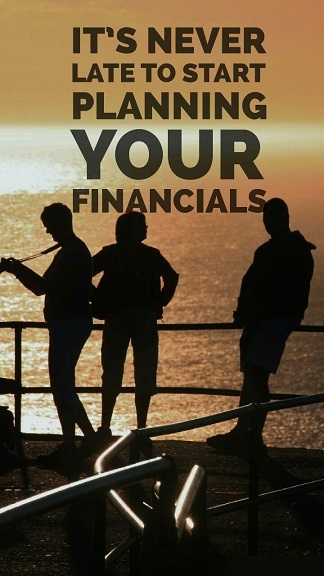 But a strong financial planning is key to leading a financially healthy life. Yes, the thought of tracking your cash flow, goals, expenditure, savings, investments, and loans can be quite terrifying. This is why you require the guidance of a trusted financial advisor who can help you plan best financial approach to reach your life goals comfortably. Wherever you are across India and even abroad, with plans to invest in India, a strong investment advisor or financial advisory service can guide you on the right path. Connect with prognoadvisor.com today to explore every minute detail about personal financial planning today!